Dead Man Down is the first English language film directed by Niels Arden Oplev. Dead Man Down stars Colin Farrell as Victor, a hitman caught in a web of deceit and lies, and Noomi Rapace as Beatrice, a woman out for vengeance at any cost. The film opens with Victor, one of the heaviest hitting enforcers in all of New York City. His boss, played by Terrence Howard, is the most ruthless crime boss in the whole town, controlling everything in the entirety of the underworld. However, when the big boss gave an order that led to the death of Victor's friend's wife and child, the hitter's loyalty is divided. Someone begins threatening Victor's boss, and it's up to him to find out who's doing it and why. A man with no shortage of enemies, Victor has his work cut out for him. And then just to complicate matters Beatrice comes into his life, offering seduction in one hand and blackmail in the other. She's seen Victor at work, and has him on video killing a man. Compromised and questioning his boss, his life and all the decisions he's made up to this point in his life, it's no longer clear who is wielding Victor against whom, or if they're all gripping a gun by the barrel and waiting for it to go off. The movie culminates with Victor getting the answers he's been seeking, and revenge delivered in a hail storm of bullets. However, even once he's gotten his vengeance and found out who was responsible for everything, Victor still has to decide who and what he's going to be as a man. He faces the question if he's just a killer, just a weapon, and if so who's he is. 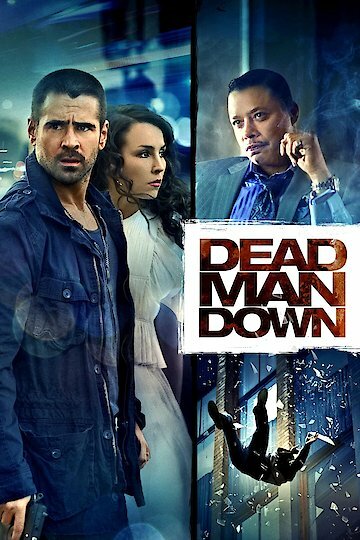 Dead Man Down is currently available to watch and stream, buy on demand at Amazon, Vudu, Google Play, FandangoNow, iTunes, YouTube VOD online.